Just finished tilling your yard or plan to have dirt dropped-off? 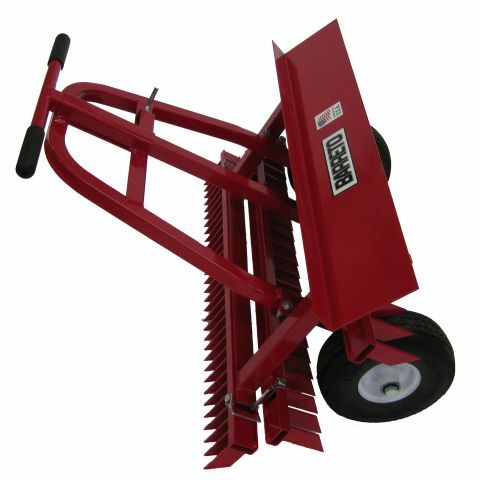 The grader rake is perfect for grading, raking & leveling loose soil in preparation for new seed or sod. 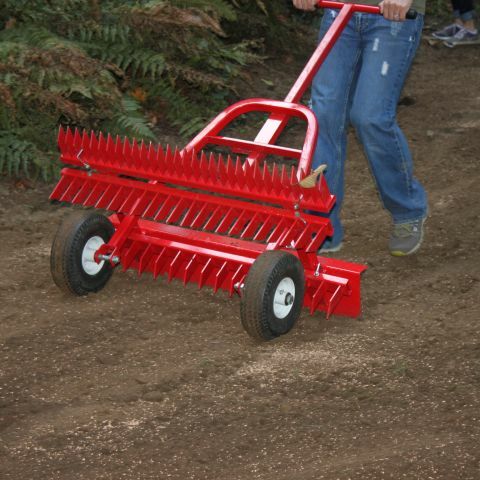 The Grader Rake combines weight, size, strength and balance for excellence in grading, leveling and raking. It is perfect for leveling your newly tilled soil, transferring soil, backfilling trenches, finishing grading, leveling gravel and raking rocks, clods and debris. 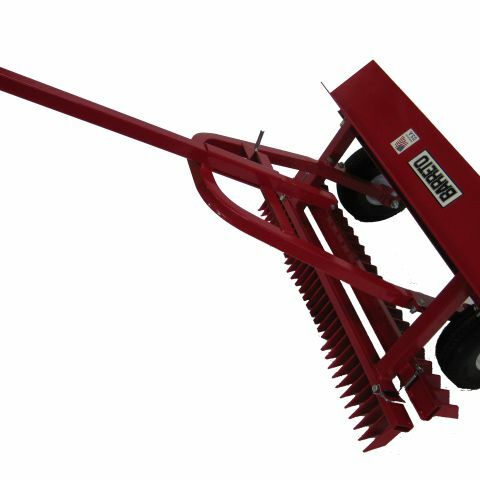 The rake is rugged and heavy duty enough to really cut into the soil. It can also be used as a hand cart for hauling heavy material. With this rake, the job is easy. Instead of backbreaking bending, your back and arms are straight as you pull and you use your legs. Eurathane tires also make the rake easy to maneuver.